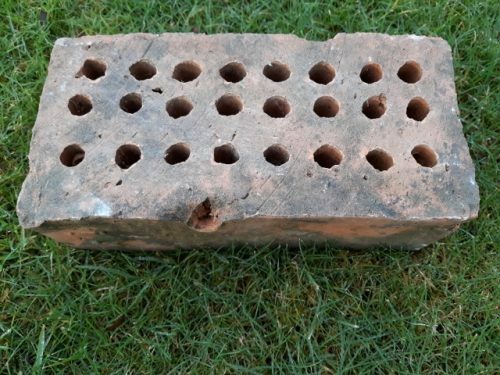 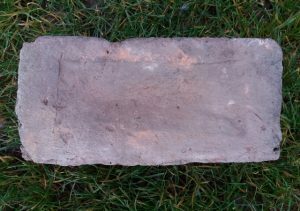 The following 3 unmarked bricks were all find within the ruins of some brick buildings situated on the edge of an old clay pit at the old Hamilton, Braidwood brickworks, Carluke. 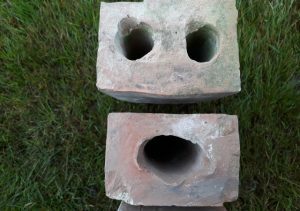 The chances are they were made on site but as they are unmarked, this cannot be said for certain. 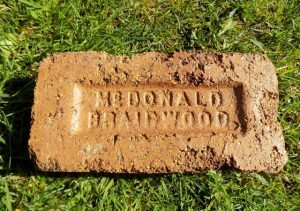 They were found alongside a TD Wishaw brick. 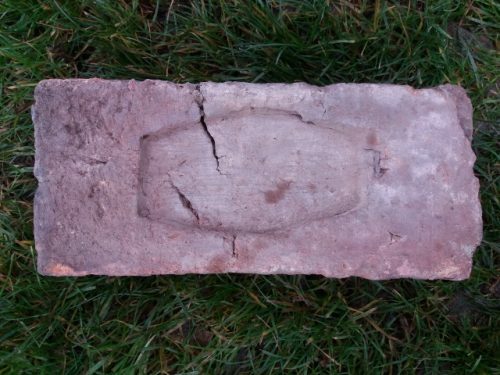 Below – This appears to be an extruded brick (see striations) which has then had a frog added after the brick has been cut to size. 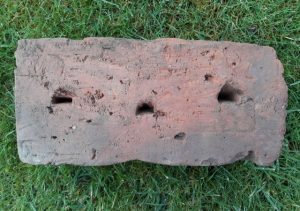 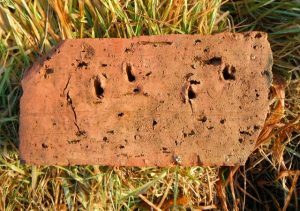 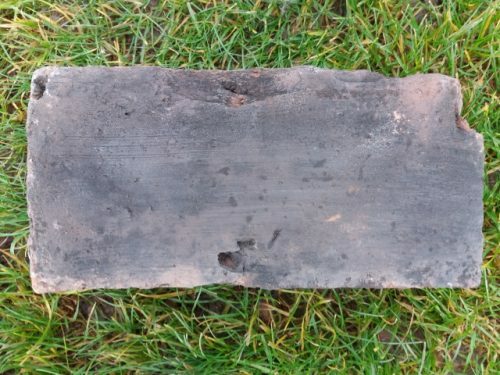 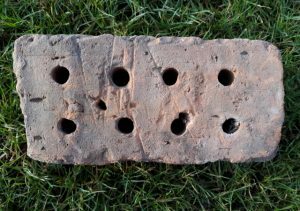 Below – a cored brick with possible tool marks on the 2 long opposite outside edges of the brick. 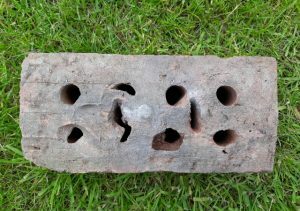 24 cores. 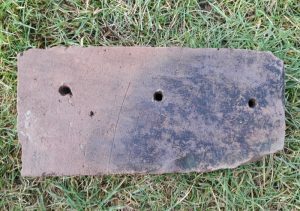 The first pic shows a mark on the lower top edge. 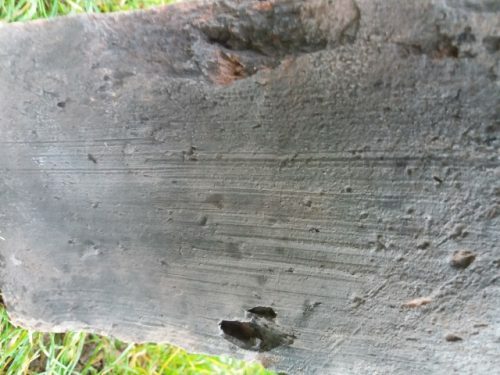 This is a definite prong mark. 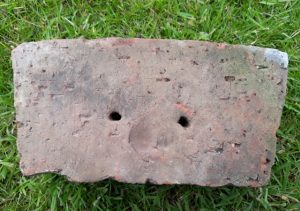 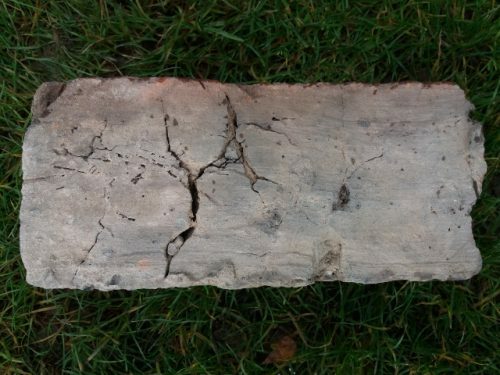 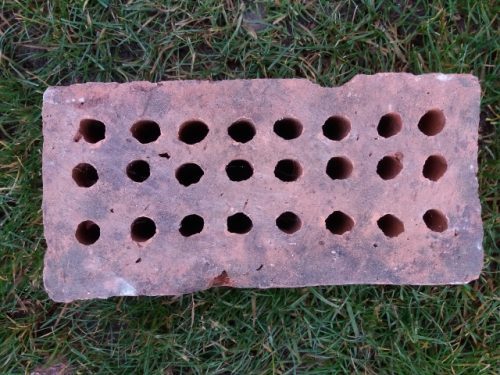 Below – the brick is turned 180 degrees. 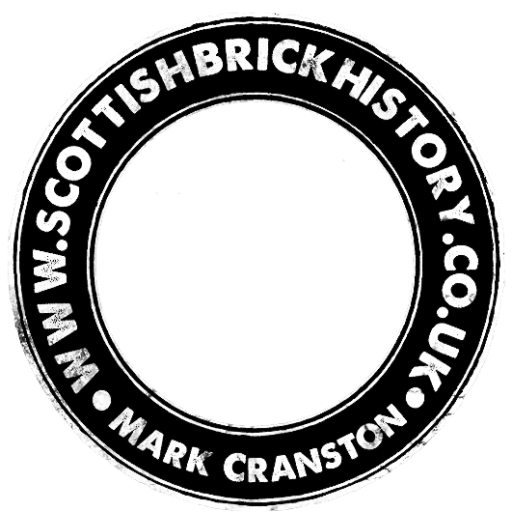 There is another mark on the edge which does not immediately suggest a prong and it could be a chip. 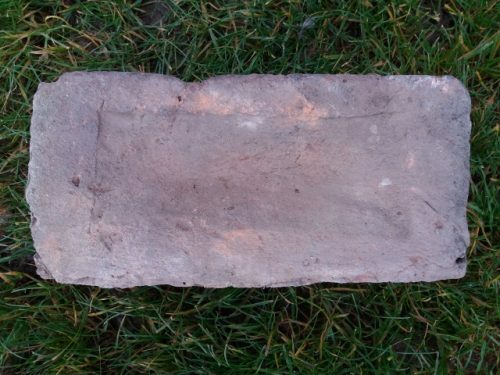 However there is a possibility that some sort of grab was used to lift this brick. 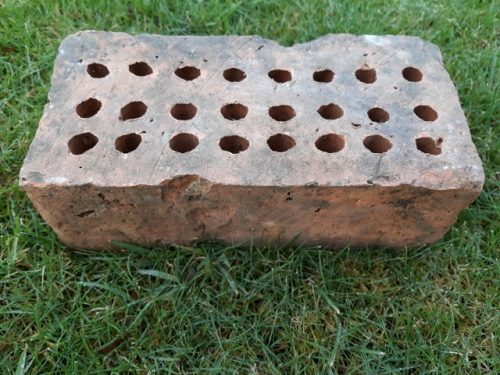 So the brick is pinched Rather than being speared by a fork for lifting. 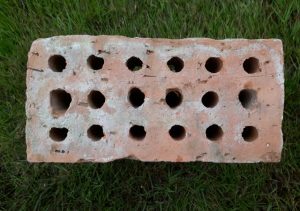 This is obviously only a theory. 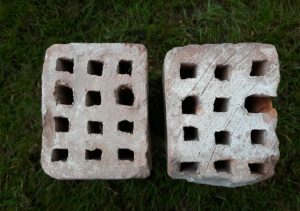 Below – a view from directly above.